Enjoy a Dhaka day-tour to visit some of the most amazing destinations including Sonargaon (The old capital of Bengal), Folk Art and Crafts Museum, Panam City (Panam Nagar) to see the beautifully decorated buildings constructed around the end of 18th century, Goaldi Mosque and then visit a char (small river island) in the third largest River Meghna by country boat to see traditional life of farmers in Bangladesh. *Pickup from a centrally located meeting point. At 8 am, you will be picked-up from your Dhaka Hotel and drive to one of the most historic cities in Bangladesh, namely Sonargaon (The old capital of Bengal). With its magnificent ancient buildings and monuments, it is only fitting that this wonderful capital would become home to a museum that captures and preserves the traditions and culture of the people of Bangladesh. The Folk Art Museum, or Folk Art and Crafts Museum is located on a picturesque piece of land that consists of breathtaking landscapes, peaceful lakes and ponds, and of course the structures that make up the Folk Art Museum complex (Wednesday & Thursday is closed). Then enjoy a boat ride on the lake inside the foundation premises. Later on, you will go to Panam City (Panam Nagar) to see the beautifully decorated buildings constructed around the end of 18th century. You will visit Goaldi Mosque that was built in 1519. After having lunch at Sonargaon local restaurant, start for Visit a char (small river island) in the third largest River Meghna by boat. 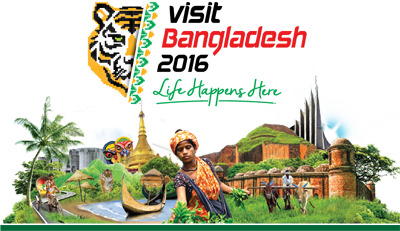 You will see traditional life of farmers in Bangladesh, enjoy the scenic beauty of the countryside, and the lifestyle of village people. By evening you will return back to Dhaka and be dropped off at Dhaka Hotel. Group discount is available for group size of 2, 4 or more.